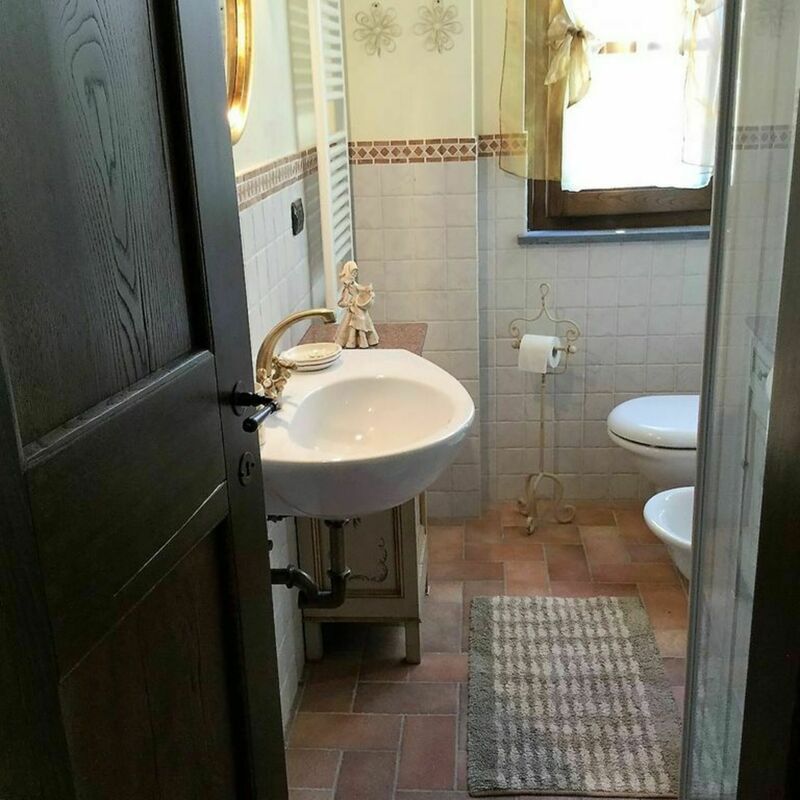 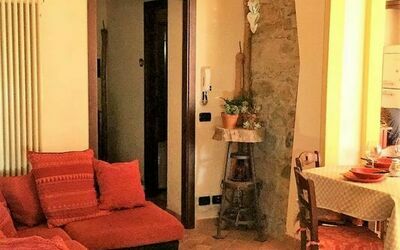 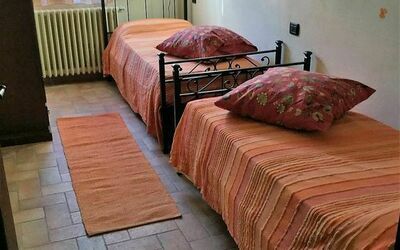 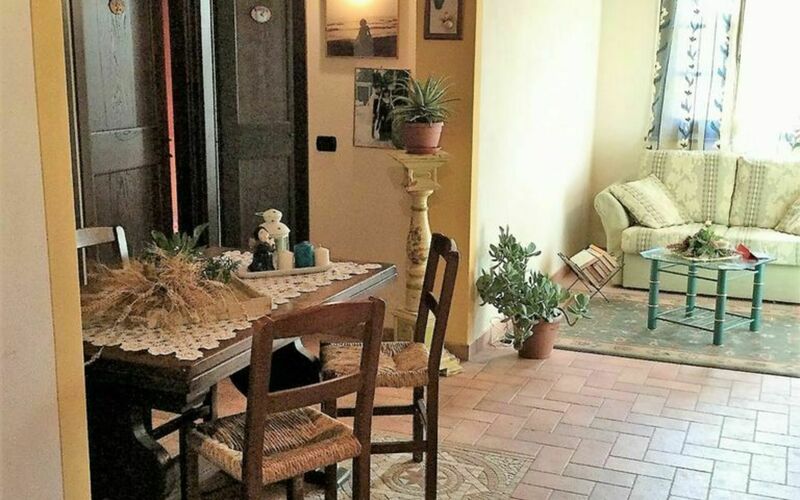 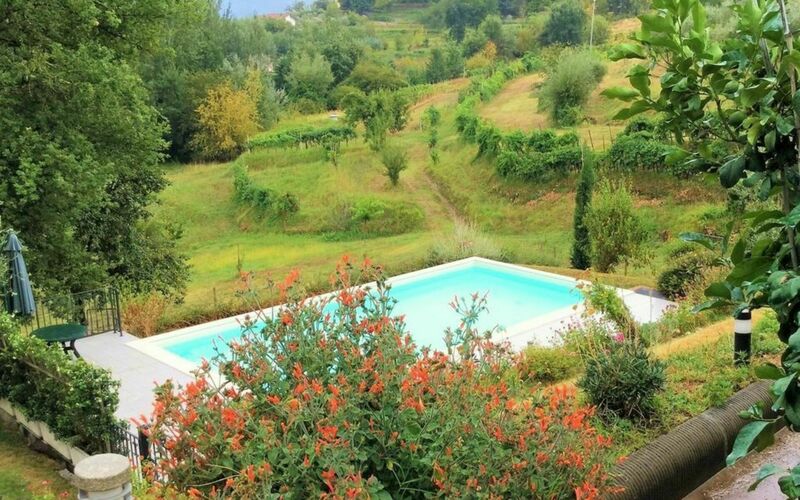 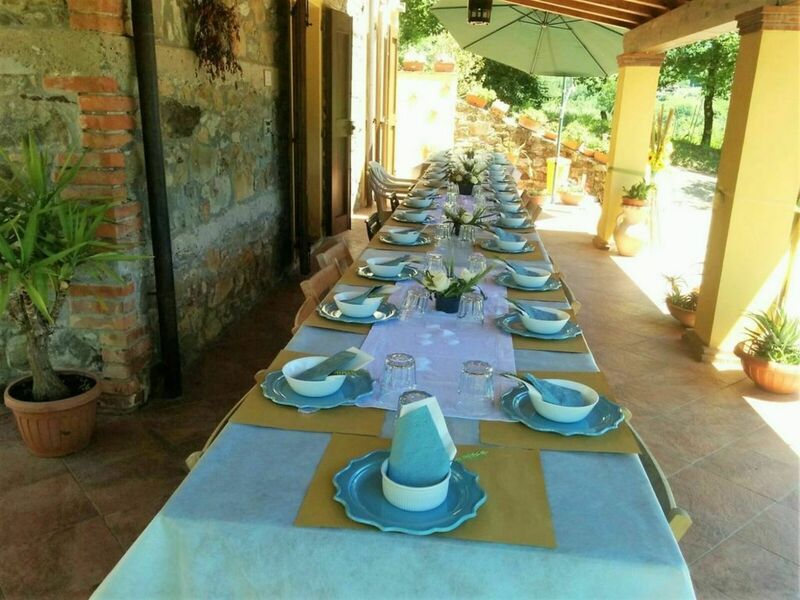 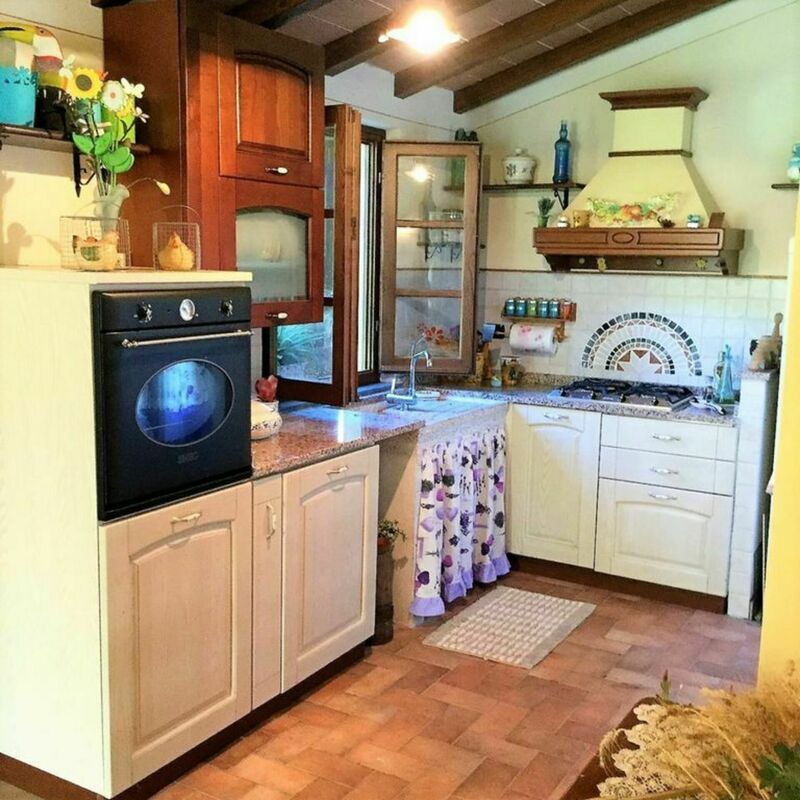 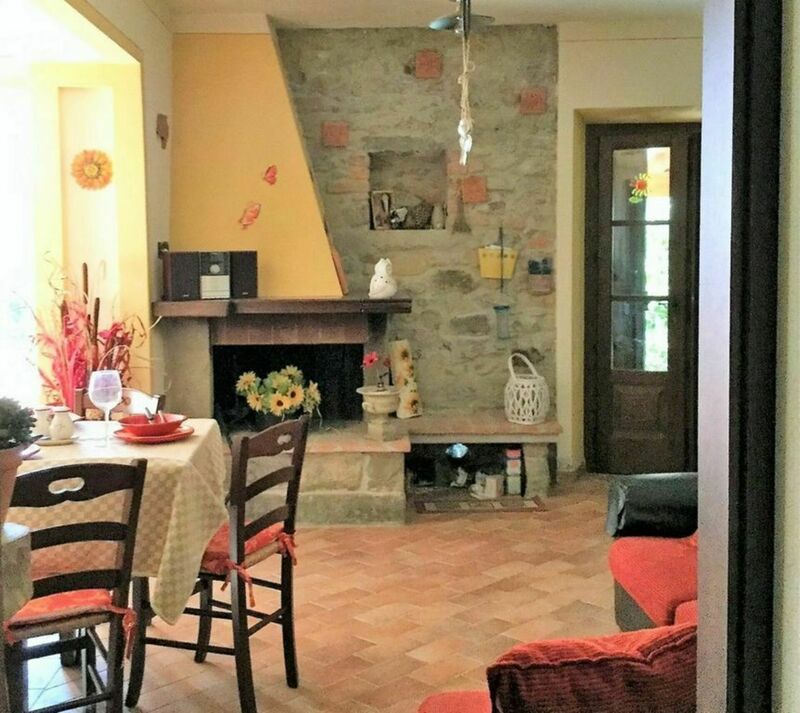 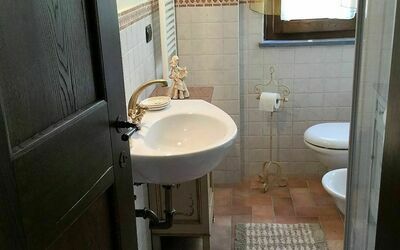 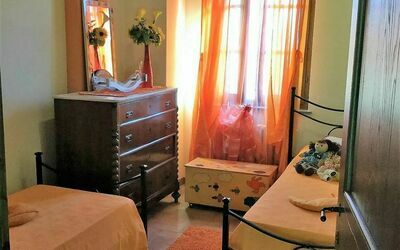 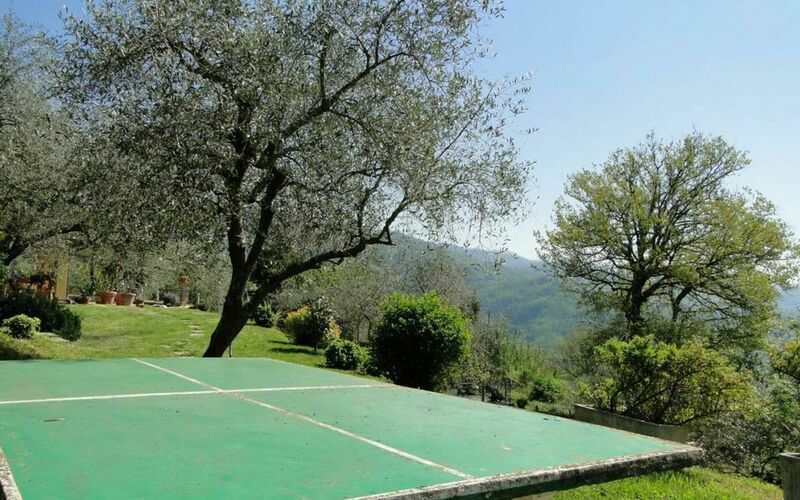 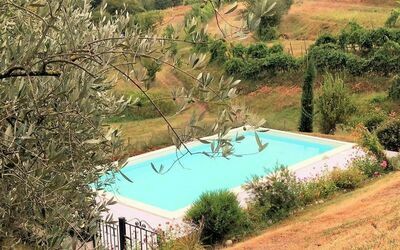 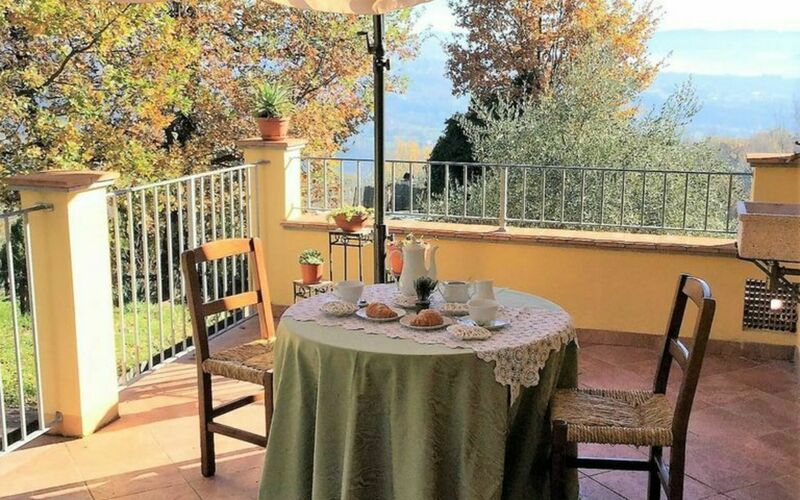 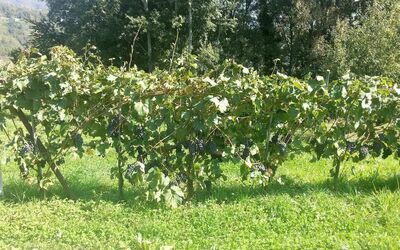 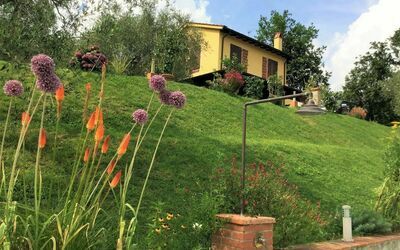 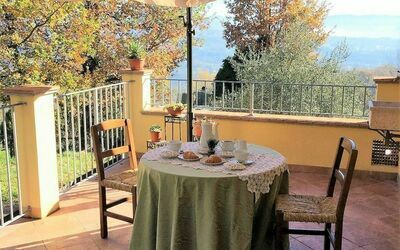 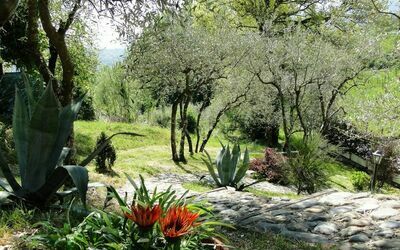 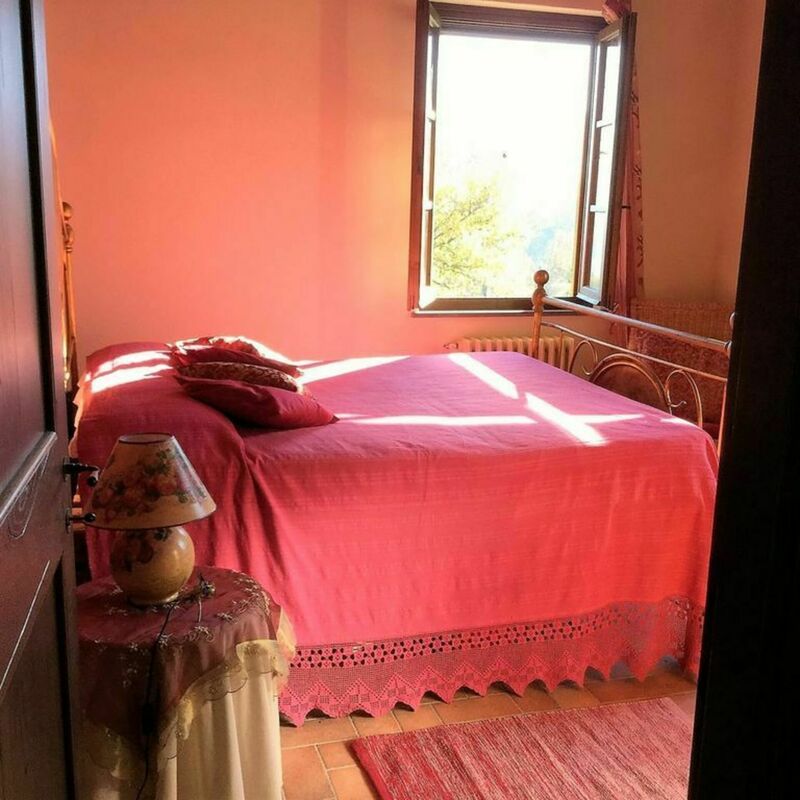 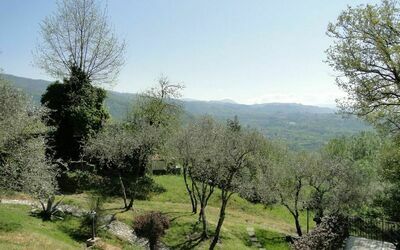 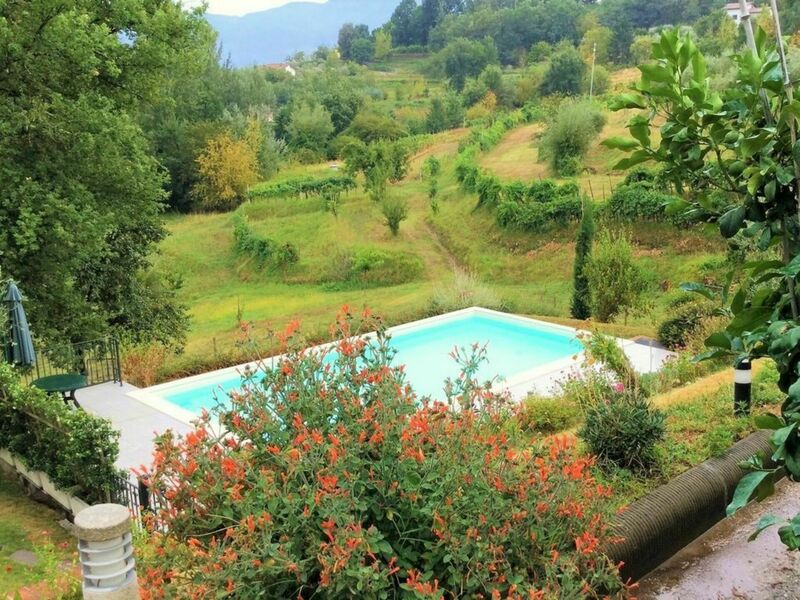 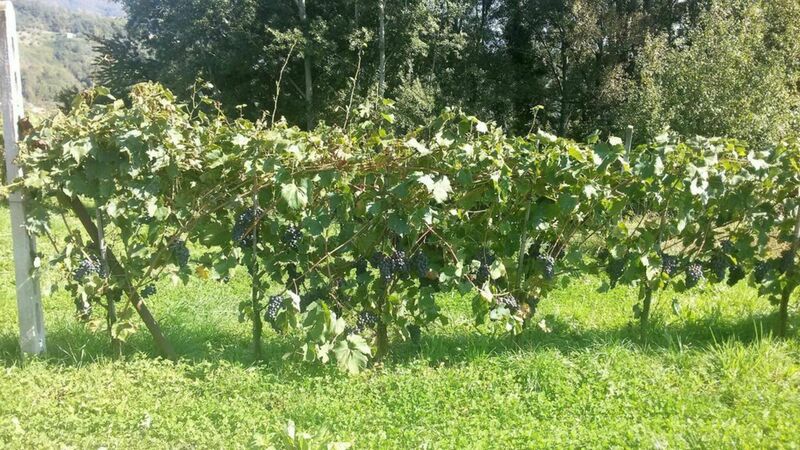 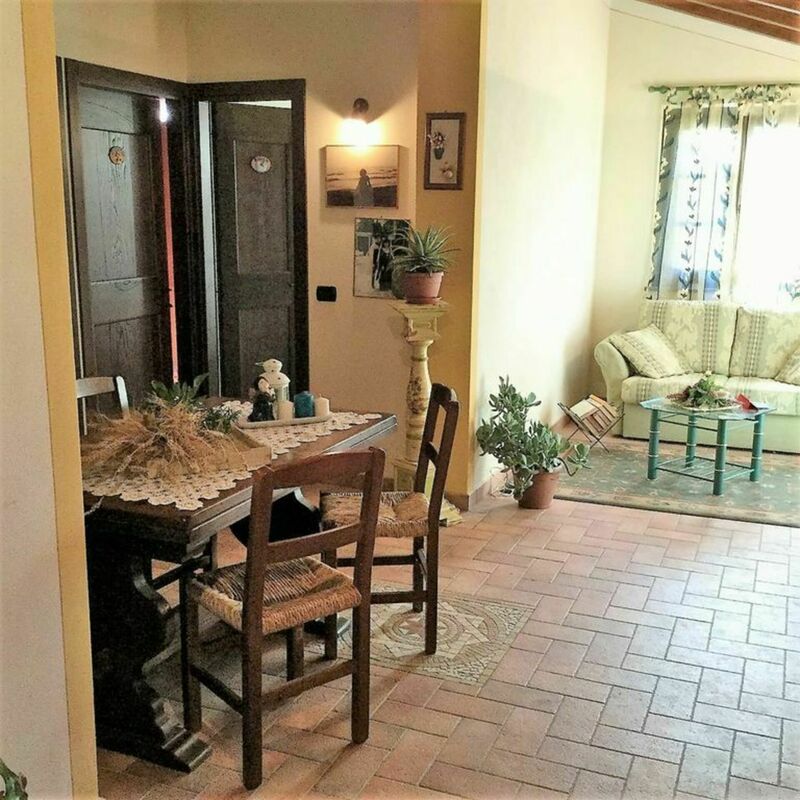 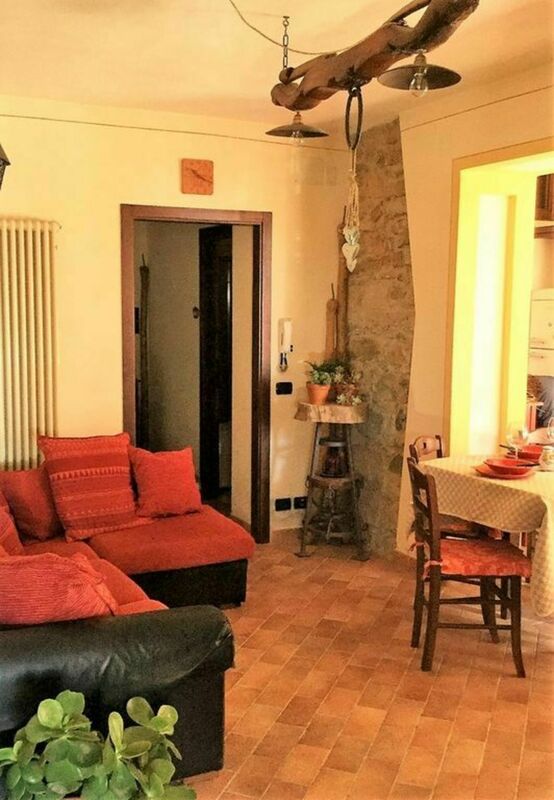 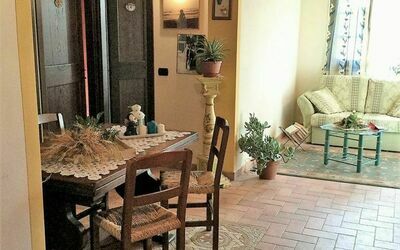 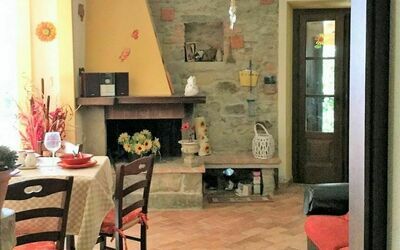 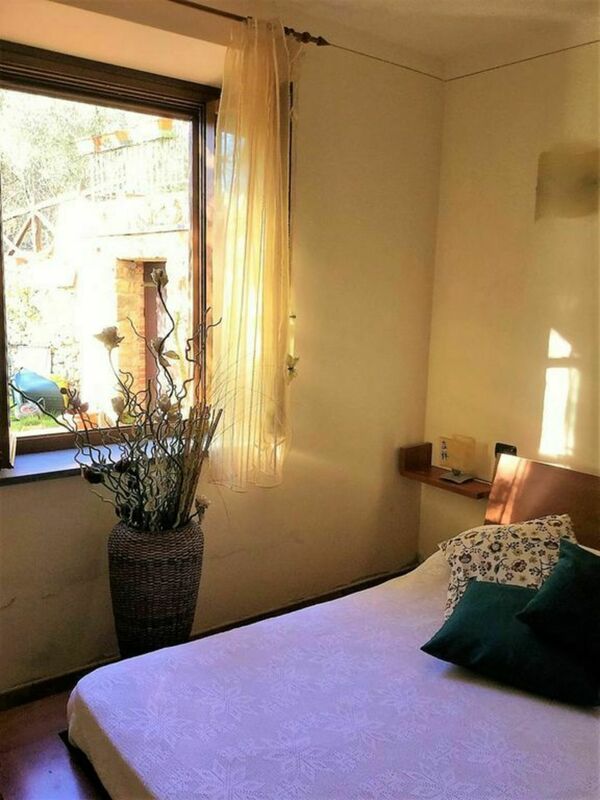 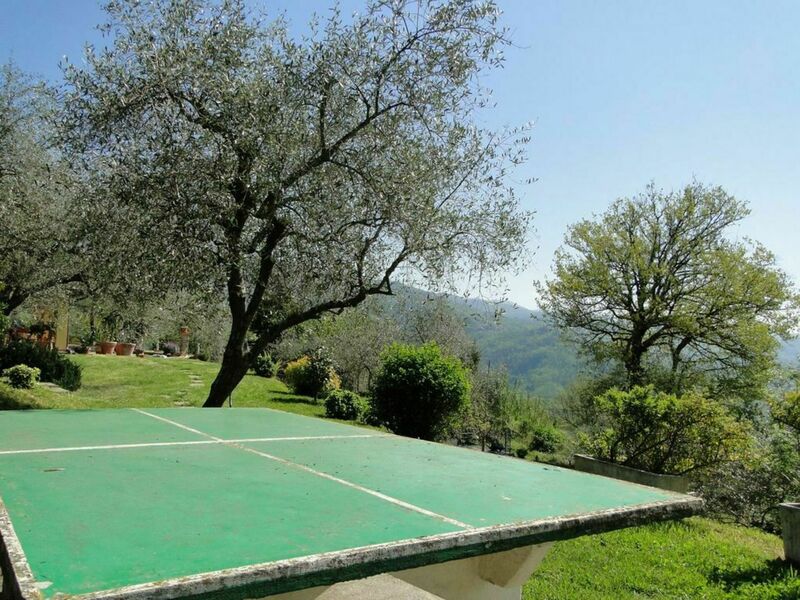 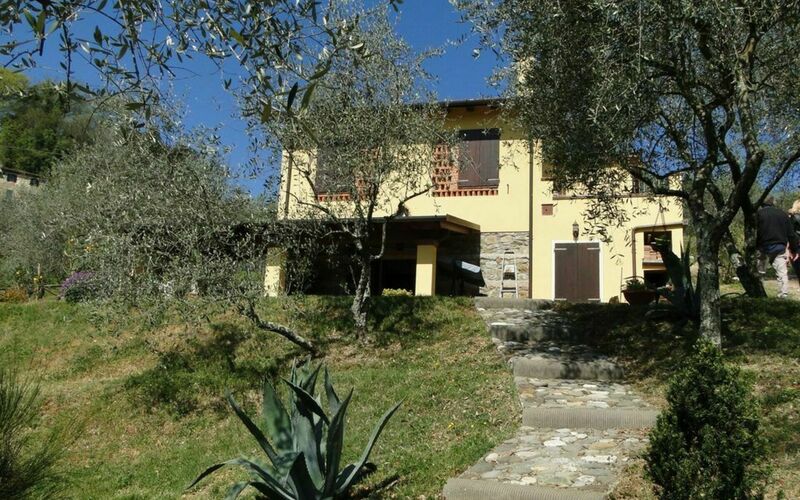 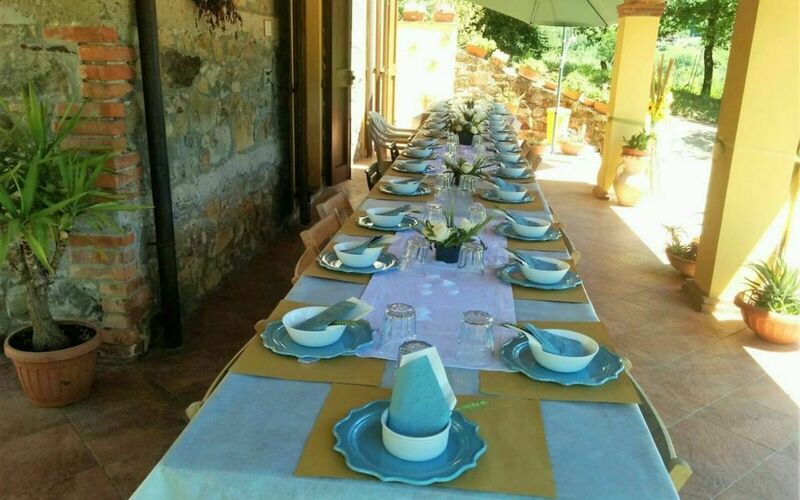 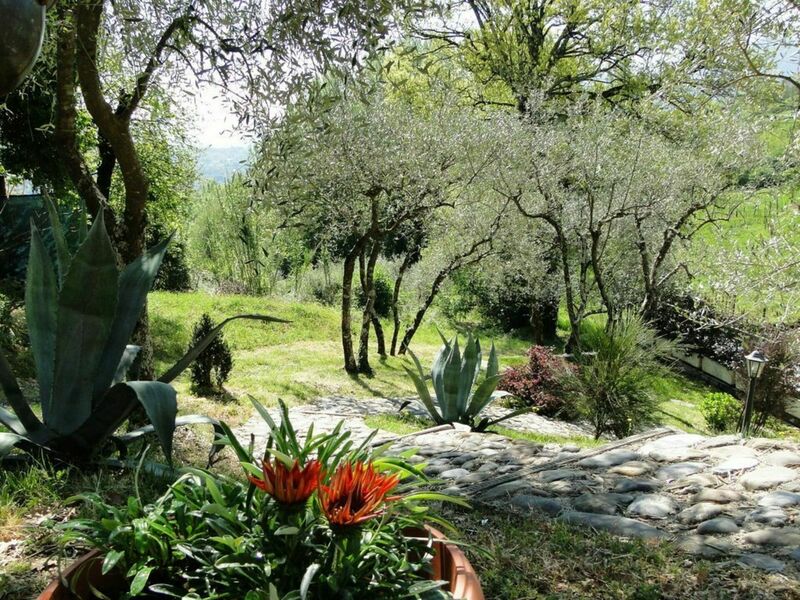 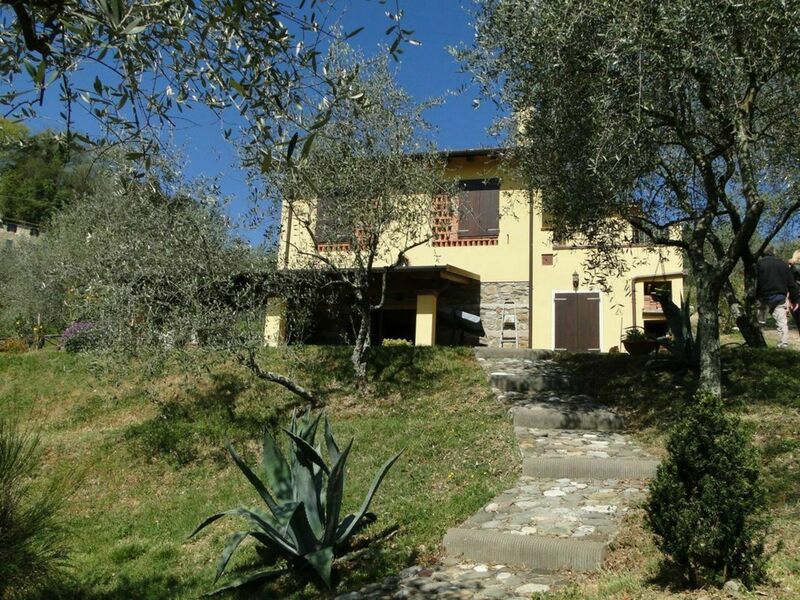 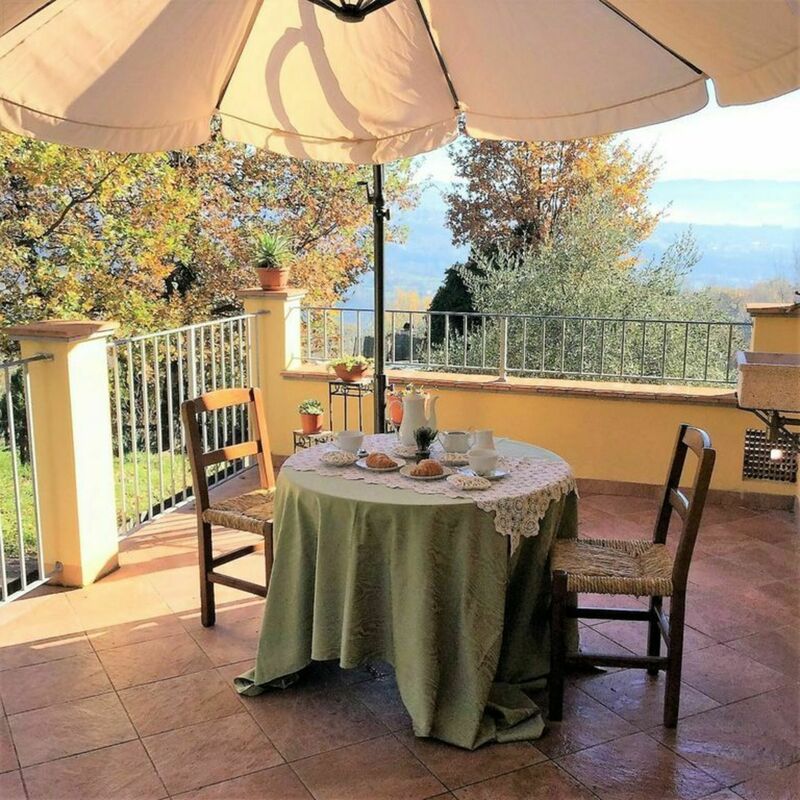 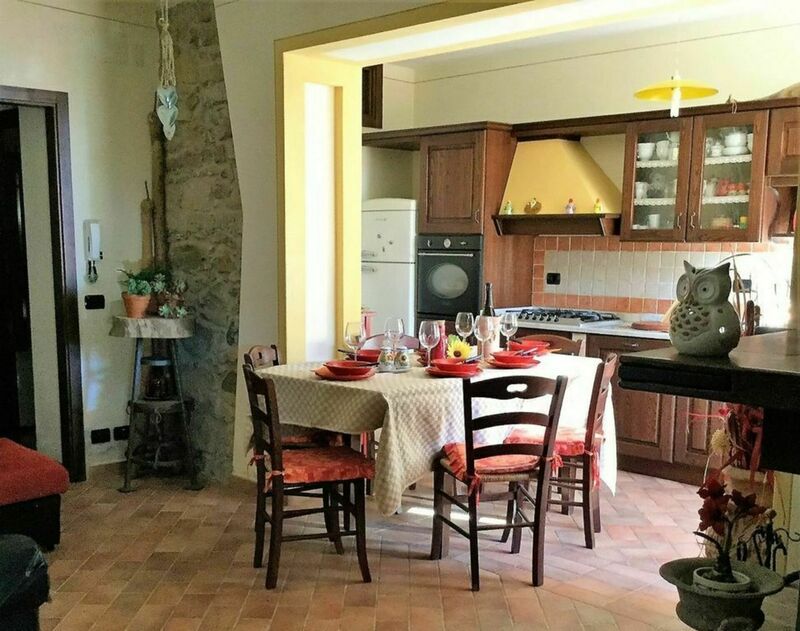 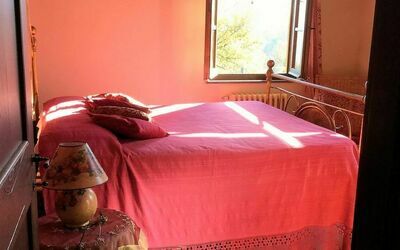 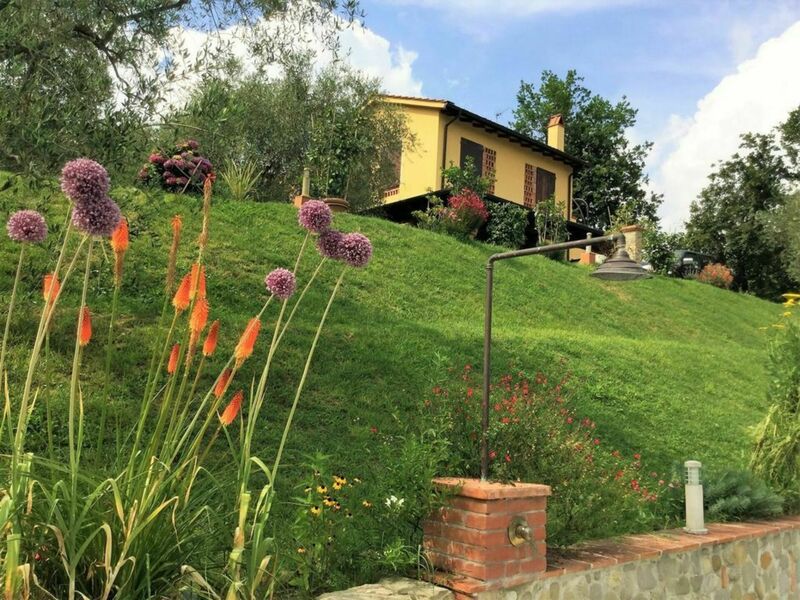 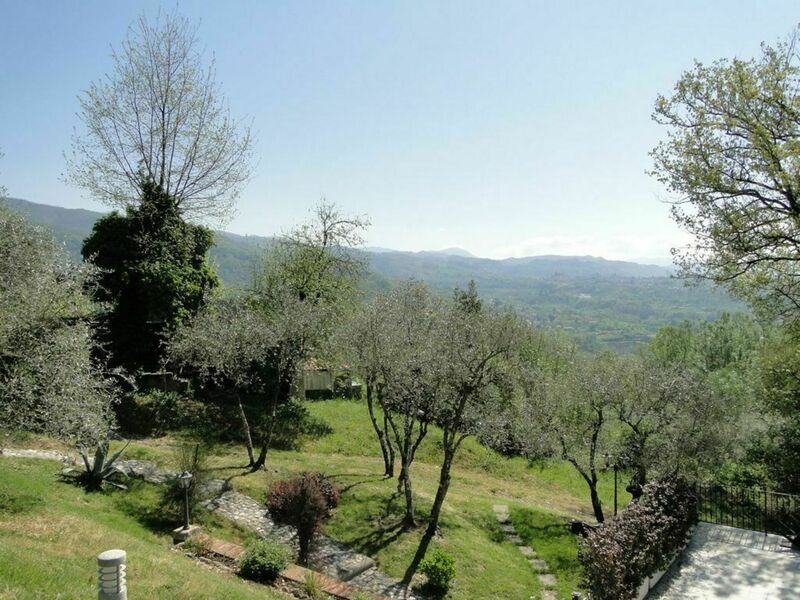 La Tenuta del Borghese is a newly renovated property is situated at the edge of the Garfagnana, but only 40 mins from Lucca, and well situated for a good choice of restaurants and eating out, with the closest good restaurant only a 3 minute drive away. 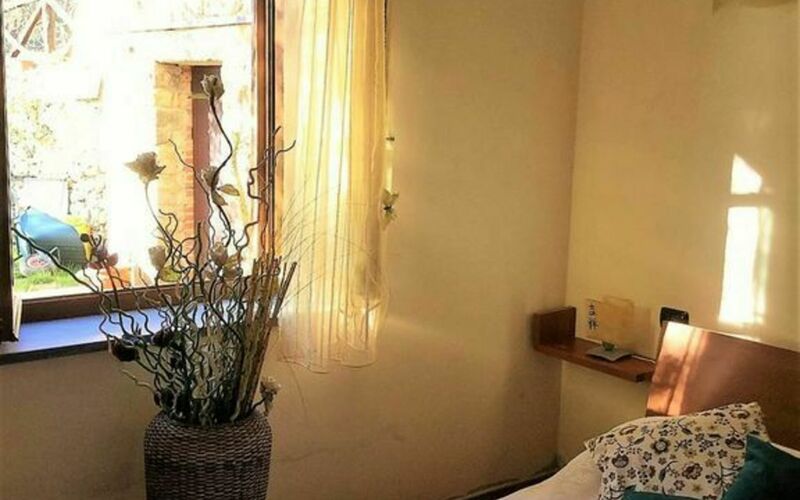 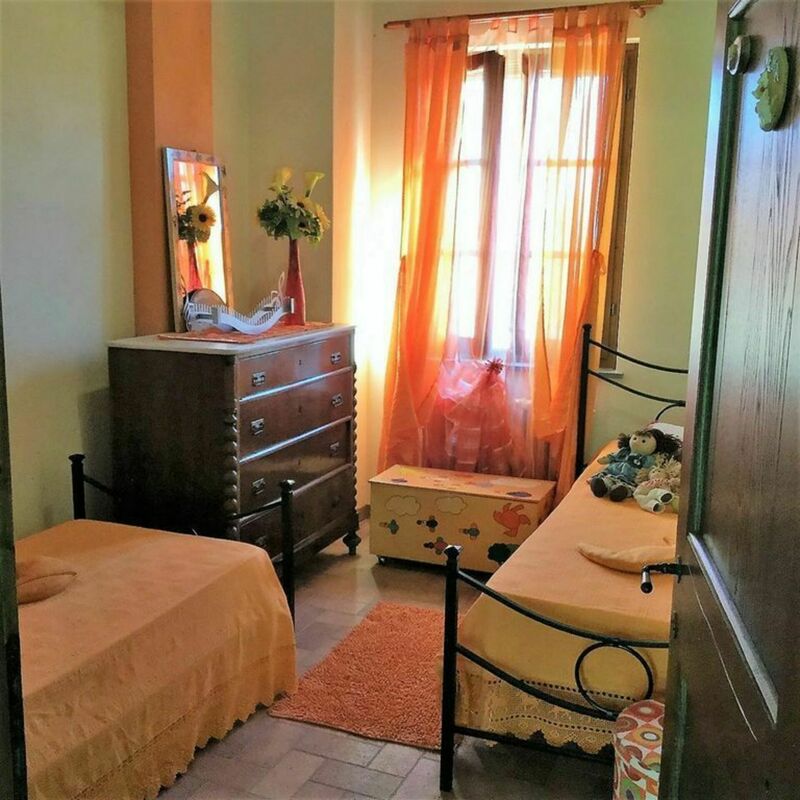 The property is split into two self- contained 2 bedroom 1 bathroom apartments so is ideal for two families wishing to holiday together, but with that all important privacy between you. The cottage is built into the hillside so whilst it is on two floors, both apartments are entered at ground level . There are two individual eating areas too, with plenty of space for the entire group to eat and drink together under the loggia, enjoying some respite from the sun and soaking up the view of the gardens, pool and stunning mountain backdrop. 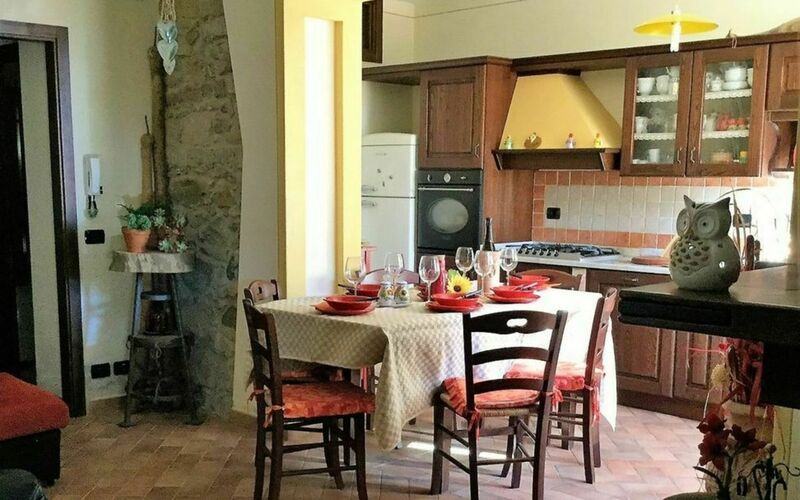 The apartments have been sympathetically renovated using traditional materials where possible and boast traditional style flooring, chestnut windows and shutters, some exposed stonework, and in the upper apartment chestnut beamed ceilings. 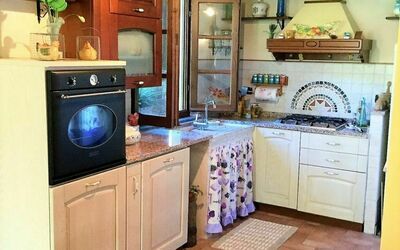 The new kitchens have been designed with Tuscan Country style in mind, blending with modern requirements including fridge/freezers, dishwashers, ovens, hobs and traditional style stone sinks. 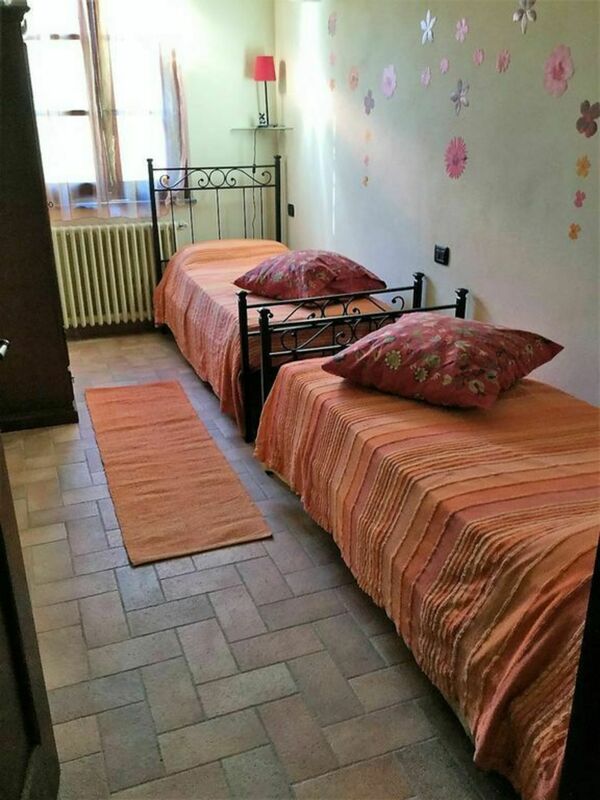 The living areas have TVs and DVD players and the apartments both have WIFI. 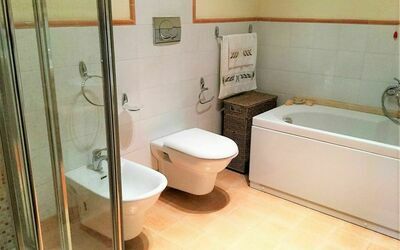 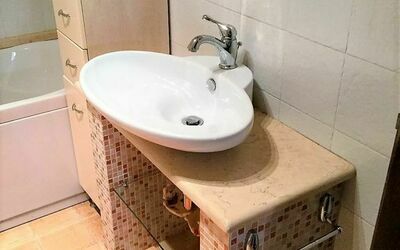 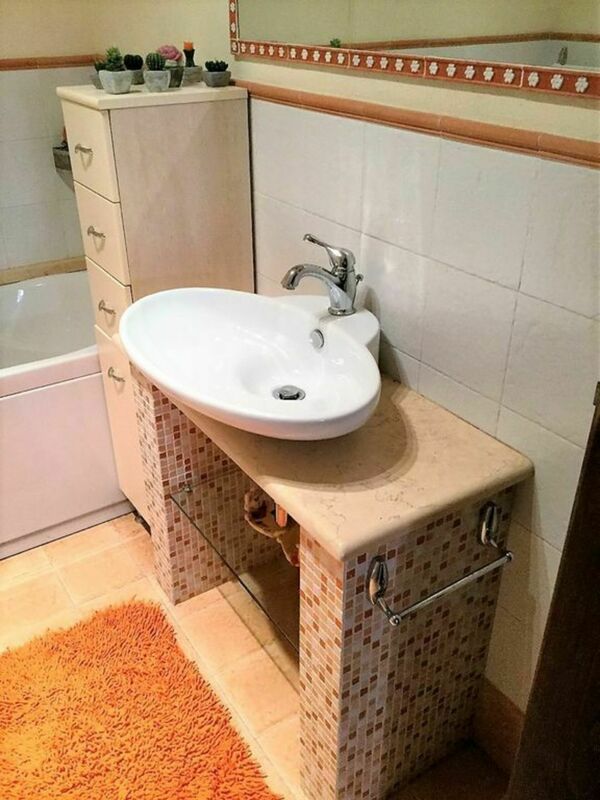 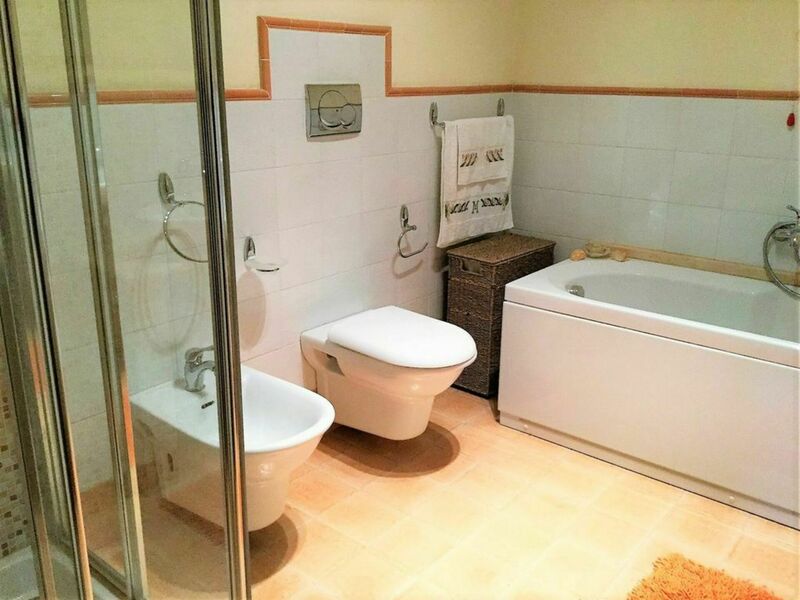 The bathrooms are up to date, boasting modern shower rooms, with the downstairs apartment having a bathtub too, which is ideal for those with smaller children, or for guests just liking a soak after a day sightseeing. 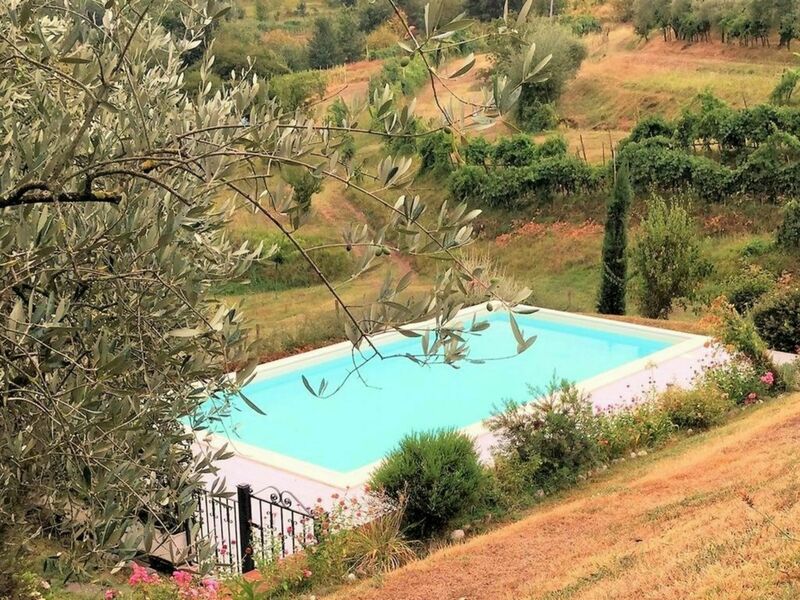 Outside there is the enormous garden, private pool, a choice of two eating areas for dining al fresco and for pre-dinner drinks, soaking up the peace and the vista. There are also 2 BBQ’s.